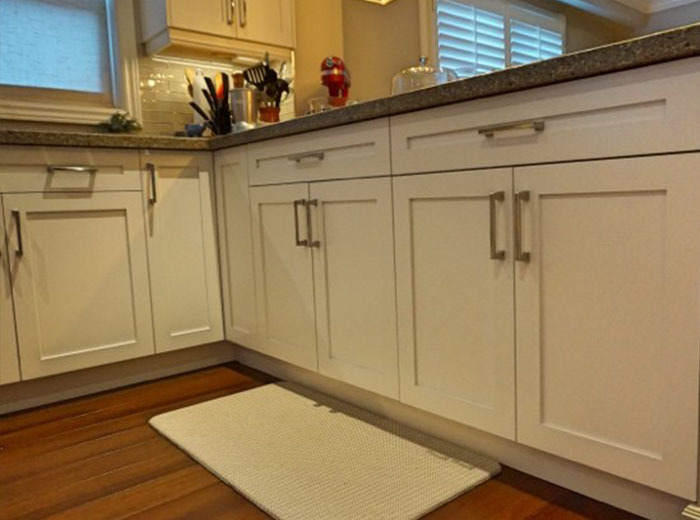 This warm traditional kitchen is surrounded by solid maple custom cabinets with shaker style doors which extends to the opposite wall of the kitchen sink. 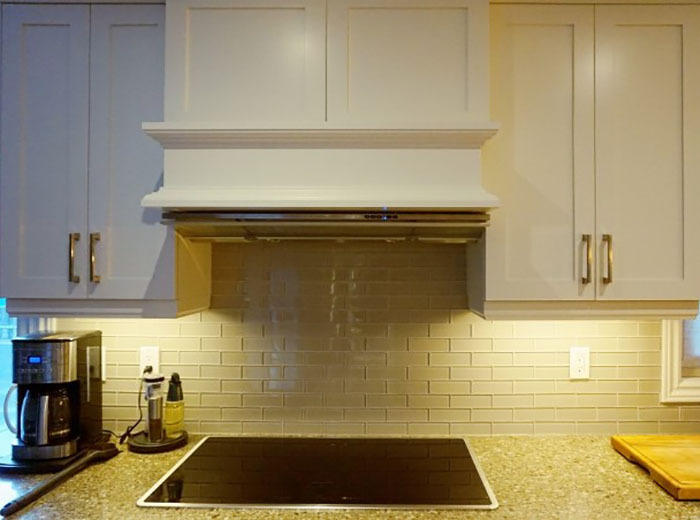 The white cabinets are complimented by TCE quartz countertop (TCE 1674) and Beige subway glass tile backsplash from Sarana tiles. 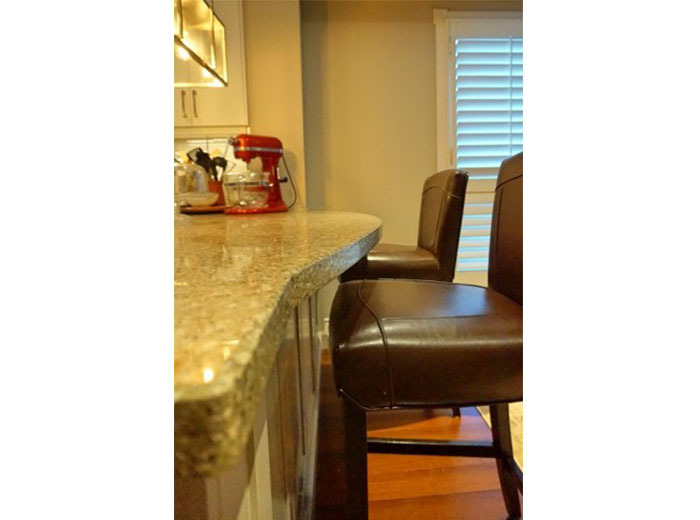 The kitchen island features custom millwork and staining, creating a unique traditional kitchen with a touch of country style. 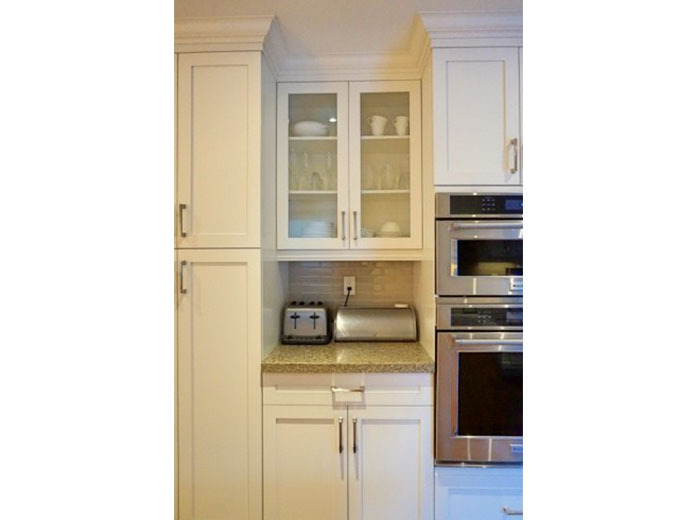 Glass cabinet doors and customized nook for small appliances. 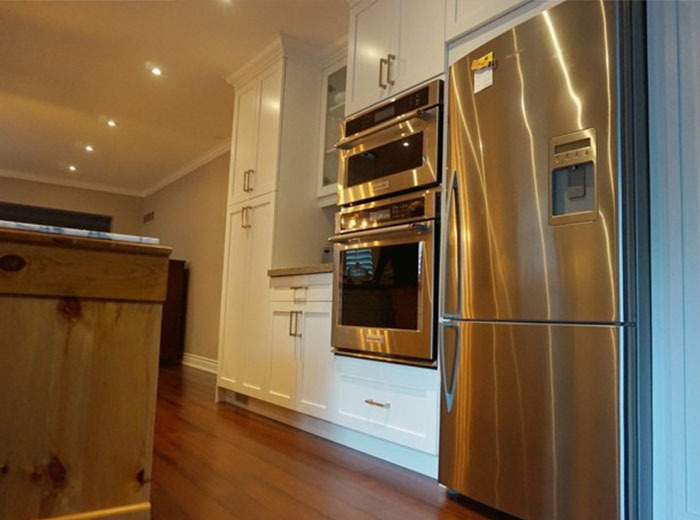 Custom maple cabinets line the opposite wall and frames stainless steel microwave, oven and fridge.